Our house sat empty for 2 years before we moved in so it needs some serious landscaping help. Think 6 acres of oak trees with 2 years worth of dead leaves, that equals about 6 inches of leaves in the landscaping. We've started clearing out the front and it's very time consuming so we just do a little at a time. There's a small rock bed in the back by the back porch that I decided to tackle the other day. 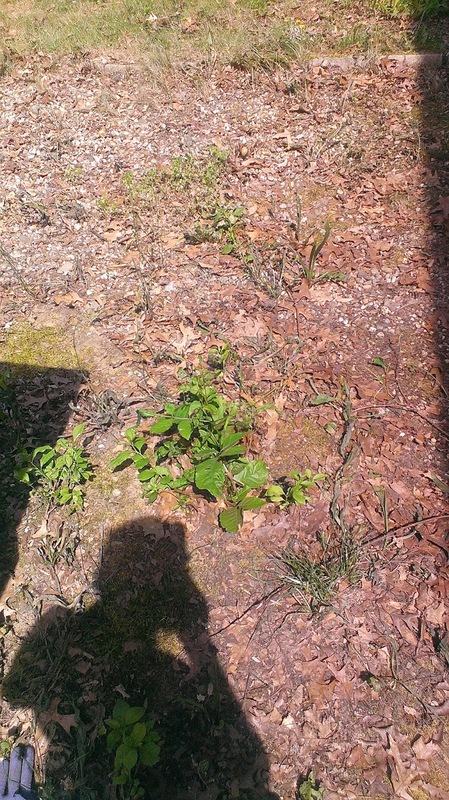 I cleaned out all the leaves and then started pulling weeds. 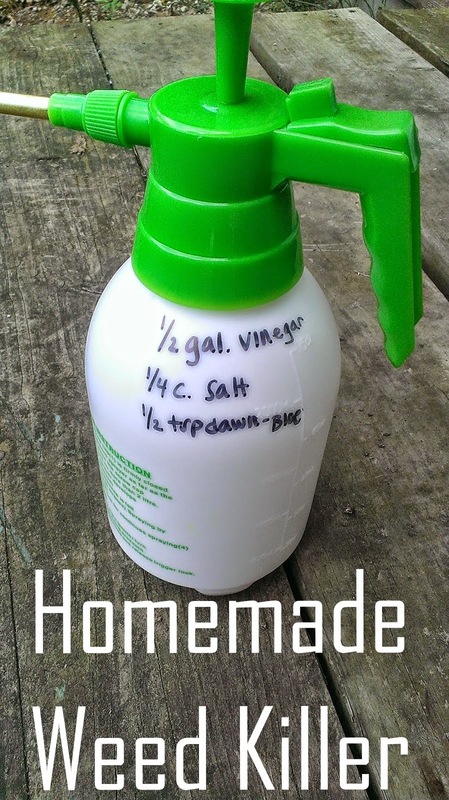 It was taking forever so I hopped on pinterest and found my pin for a homemade weed killer. I had everything already except for the spray bottle that I picked up at Menards for less than $5. 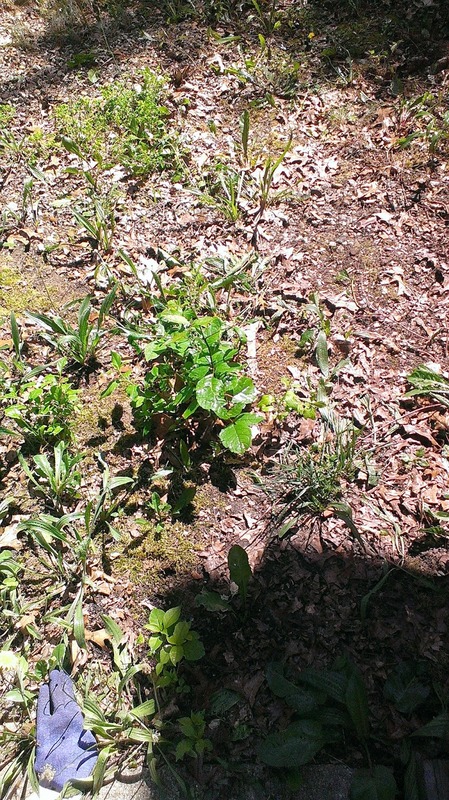 Just mix it up in your spray bottle and spray it on the weeds. It smells very strongly so I wouldn't go overboard with it. I just did a light spray down and then came back a few hours later and did more. This top picture is before I sprayed it and the bottom one is about 5 hours later. It did work, but I still needed to go through and pull the weeds out. 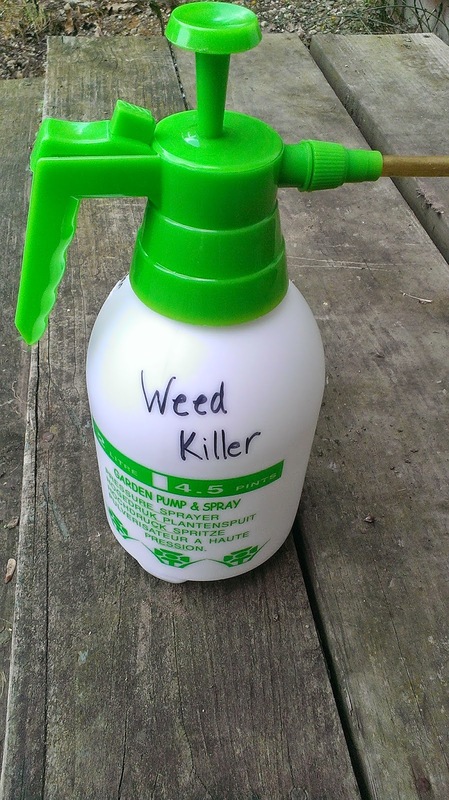 This will kill all the plants you spray it on, so I would be careful around your good plants.